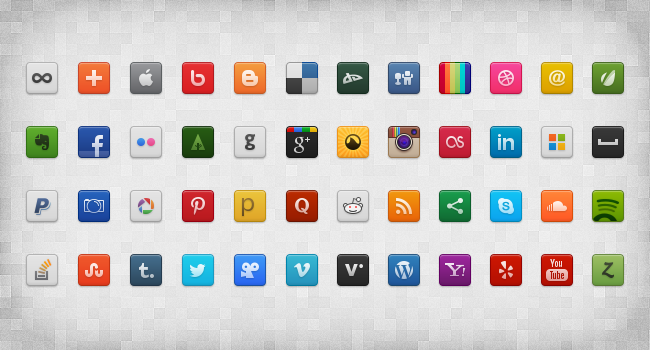 A super cool kit packed with 48 frequently used, free social media icons that are sure shot attention grabbers! Make your viewers socialize you with the help of these perky yet smart icons. These icons are brought to you by G. Pritiranjan. One click instant download and easy installation. 32px icon images in .png and .psd formats. A perfect fit for personal as well as commercial purposes. Cannot resell or distribute this file on any website. Wondering how to get these social media icons and add a new bling to your webpage? It's super easy and super simple.